The snack that encourages both gluttony & manners. Slow baked in the oven. 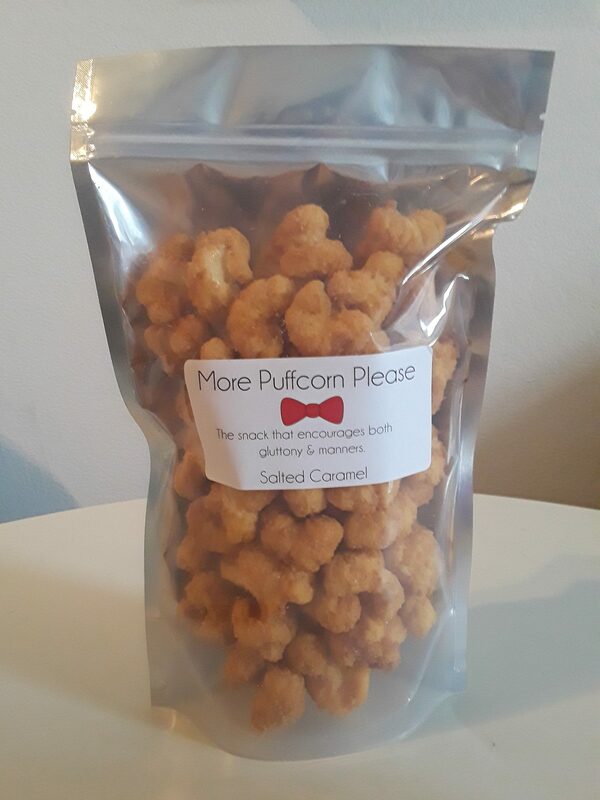 Crunchy and light, our Salted Caramel Puffcorn will melt in your mouth and leave you asking for More Puffcorn Please! 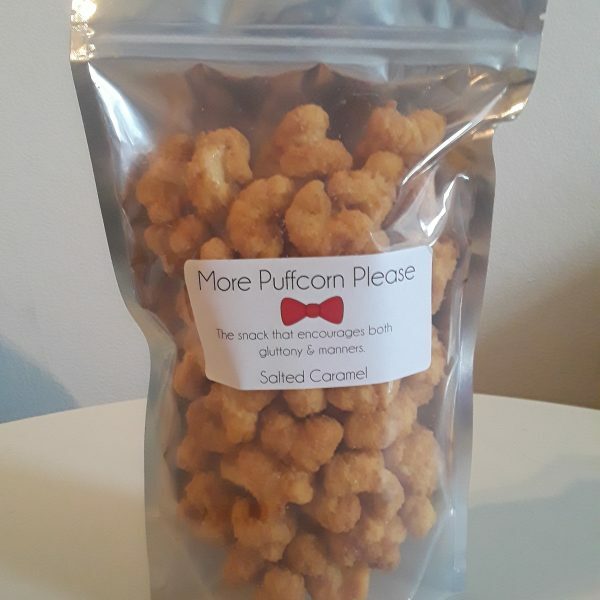 Our Large Bag contains approx 6 1/4 cups of Salted Caramel Puffcorn and serves 3-6 people. More Puffcorn Please © 2012. All Rights Reserved.